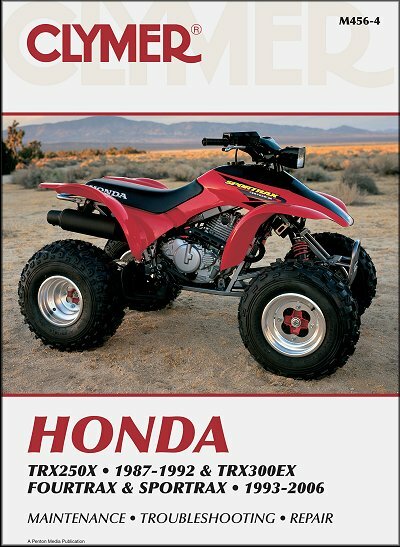 Honda ATV Repair Manuals, we have the manual your searching for. 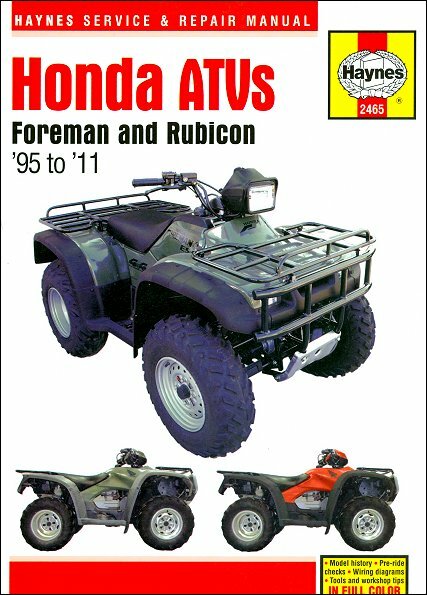 Here is the complete list of Honda ATV Repair Manuals, just in case you aren't completely sure which Manual you need. Simply run down the list and find the one you need, then click on the picture, or the title, and you will go to the order page. Once you have your manual, make sure to slip it into your gear bag before you ride. That way, if you find yourself needing to adjust or repair anything on the trail, you will have all the info you need at your fingertips. 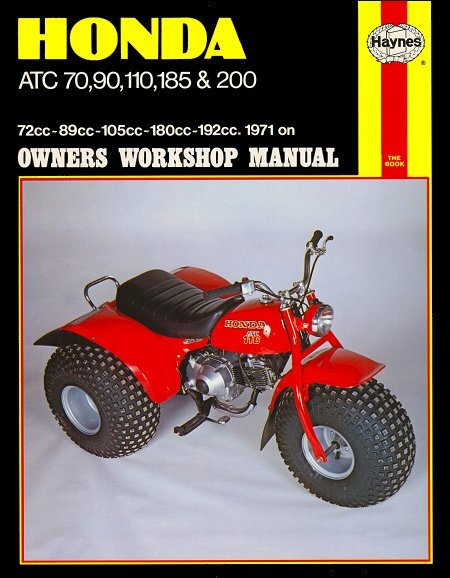 Honda ATC70, 90, 110, 185, 200 ATV Repair Manual 1971-on is available for only $27.95 from TheMotorBookstore.com. Largest selection of Clymer, Chilton, Haynes, Bentley and Seloc repair manuals at discount prices. 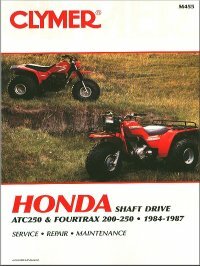 Honda ATC70, ATC90, ATC110, ATC125, Fourtrax 70, 125, TRX125 ATV Repair Manual 1970-1987 is available for only $26.95 from TheMotorBookstore.com. Largest selection of Clymer, Chilton, Haynes, Bentley and Seloc repair manuals at discount prices. 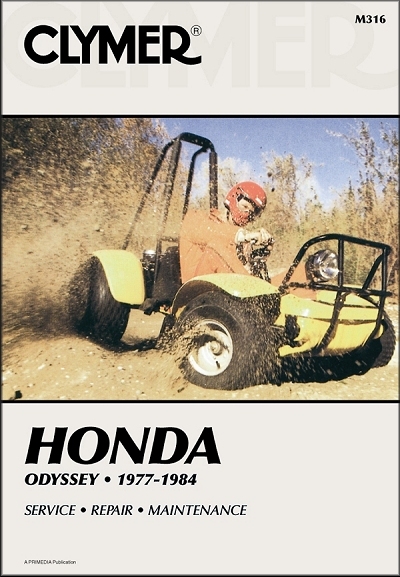 Honda Odyssey FL250 ATV Repair Manual 1977-1984 is available for only $26.95 from TTheMotorBookstore.com. Largest selection of Clymer, Chilton, Haynes, Bentley and Seloc repair manuals at discount prices. 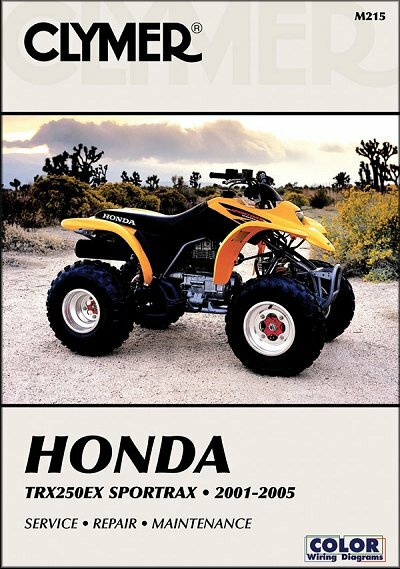 Honda ATC185, ATC200 ATV Repair Manual 1980-1986 is available for only $26.95 from TheMotorBookstore.com. Largest selection of Clymer, Chilton, Haynes, Bentley and Seloc repair manuals at discount prices. 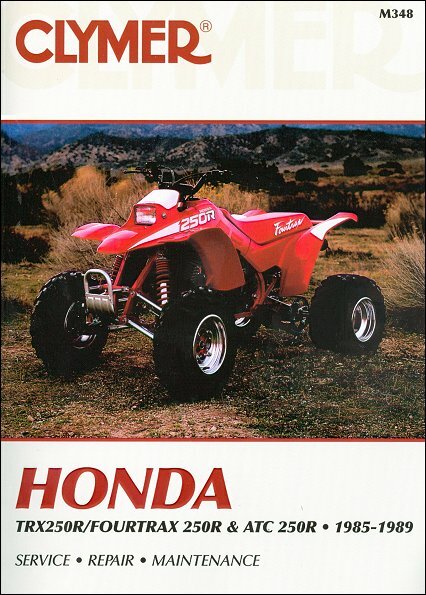 Honda ATC250R Single ATV Repair Manual 1981-1984 is available for only $26.95 from TheMotorBookstore.com. Largest selection of Clymer, Chilton, Haynes, Bentley and Seloc repair manuals at discount prices. 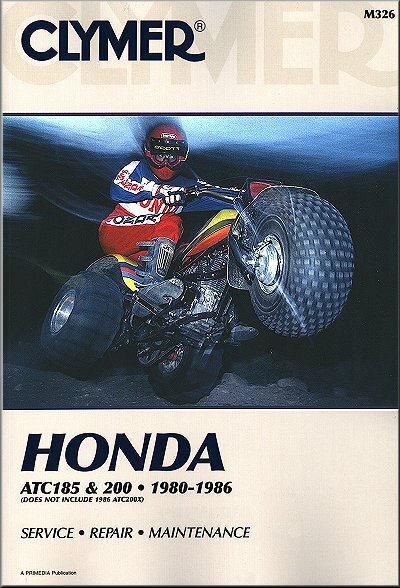 Honda TRX250R, Fourtrax 250R, ATC250R ATV Repair Manual 1985-1989 is available for only $26.95 from TheMotorBookstore.com. 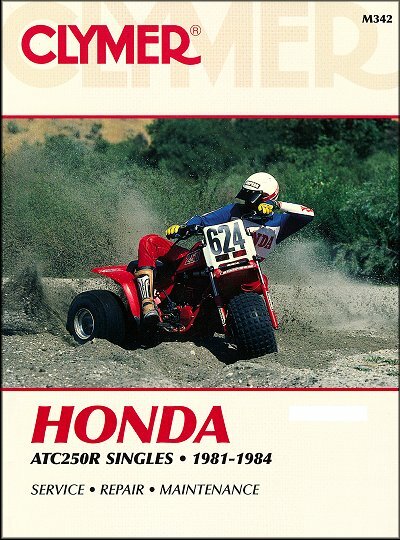 Largest selection of Clymer, Chilton, Haynes, Bentley and Seloc repair manuals at discount prices. 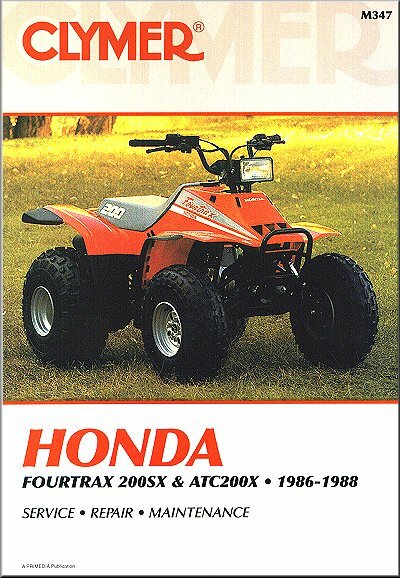 Honda Fourtrax 200SX, ATC200X ATV Repair Manual 1986-1988 is available for only $26.95 from TheMotorBookstore.com. Largest selection of Clymer, Chilton, Haynes, Bentley and Seloc repair manuals at discount prices. 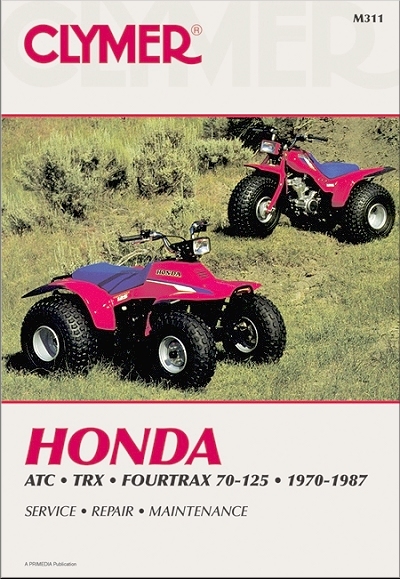 Honda TRX250X 1987-1992, TRX300EX Fourtrax, Sportrax ATV Repair Manual 1993-2006 $26.95 from TheMotorBookstore.com. Largest selection of Clymer, Chilton, Haynes, Bentley and Seloc repair manuals at discount prices. 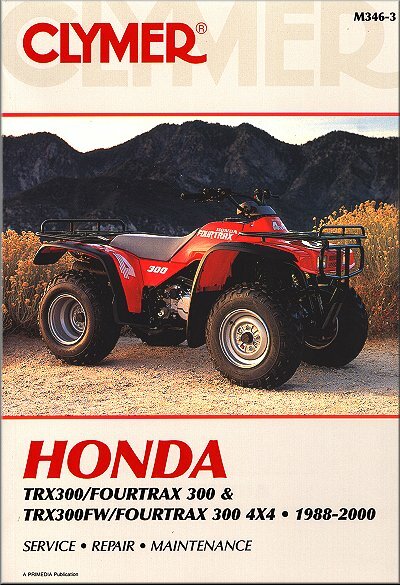 Honda TRX300 Fourtrax 300, TRX300FW 4x4 ATV Repair Manual 1988-2000 - $26.95 from TheMotorBookstore.com. Largest selection of Clymer, Chilton, Haynes, Bentley and Seloc repair manuals at discount prices. 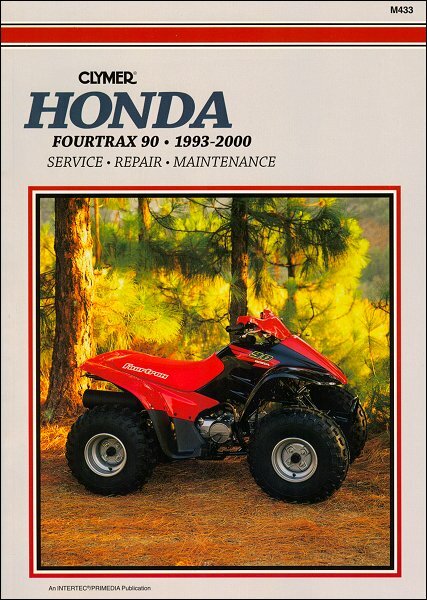 Honda Fourtrax 90 ATV Repair Manual 1993-2000 is available for only $26.95 from TheMotorBookstore.com. Largest selection of Clymer, Chilton, Haynes, Bentley and Seloc repair manuals at discount prices. 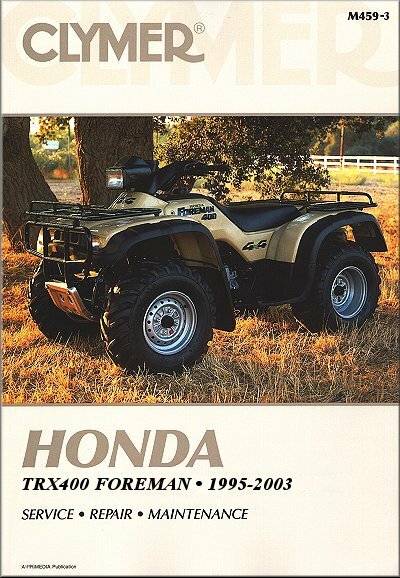 Honda TRX400, TRX400FW Foreman ATV Repair Manual 1995-2003 is available for only $26.95 from TheMotorBookstore.com. Largest selection of Clymer, Chilton, Haynes, Bentley and Seloc repair manuals at discount prices. 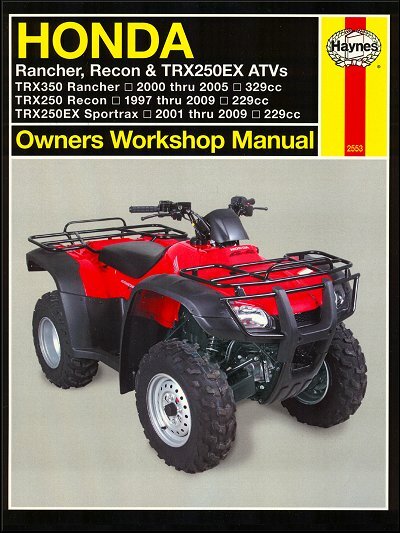 Honda TRX350 Rancher, TRX250 Recon, TRX250 Sportrax ATV Repair Manual 1997-2009 is available for only $27.95 from TheMotorBookstore.com. Largest selection of Clymer, Chilton, Haynes, Bentley and Seloc repair manuals at discount prices. 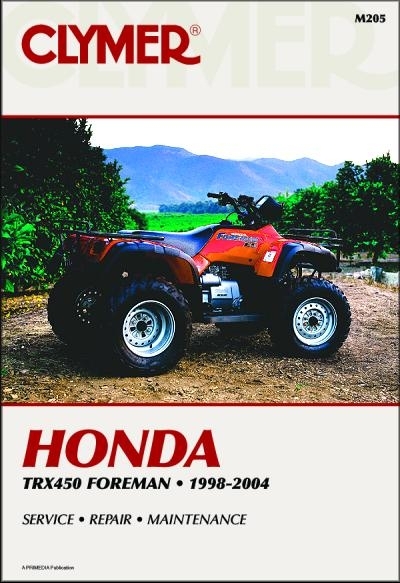 Honda Foreman TRX400, 450, Rubicon TRX500 Repair Manual 1995-2011 is available for only $34.95 from TheMotorBookstore.com. Largest selection of Clymer, Chilton, Haynes, Bentley and Seloc repair manuals at discount prices. 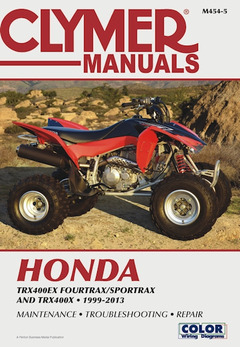 Honda TRX400, TRX400EX Fourtrax, Sportrax ATV Repair Manual 1999-2007 is available for only $26.95 from TheMotorBookstore.com. Largest selection of Clymer, Chilton, Haynes, Bentley and Seloc repair manuals at discount prices. 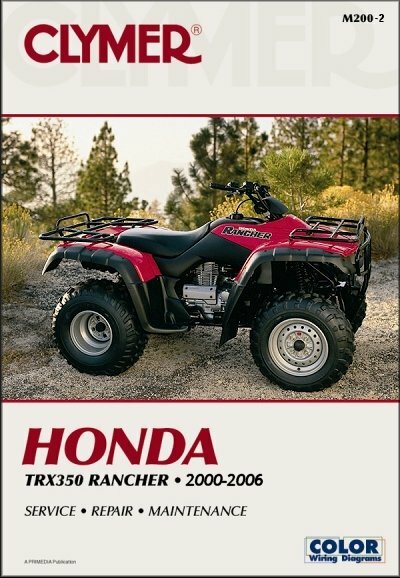 Honda TRX350 Rancher Repair Manual 2000-2006 is available for only $26.95 from TheMotorBookstore.com. Largest selection of Clymer, Chilton, Haynes, Bentley and Seloc repair manuals at discount prices. 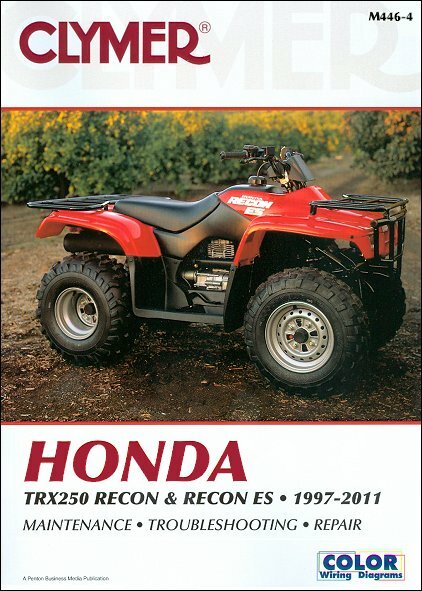 Honda TRX500 Rubicon Repair Manual 2001-2004 is available for only $26.95 from TheMotorBookstore.com. Largest selection of Clymer, Chilton, Haynes, Bentley and Seloc repair manuals at discount prices. 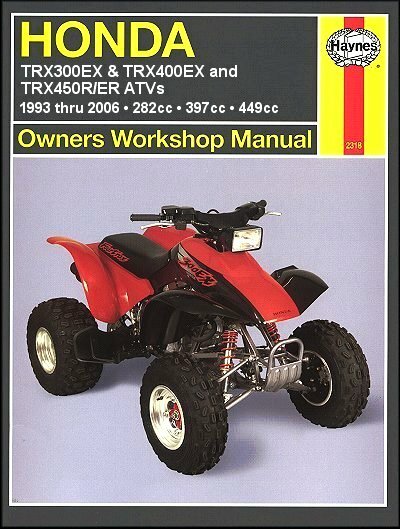 Honda TRX250EX Sportrax ATV Repair Manual 2001-2005 is available for only $26.95 from TheMotorBookstore.com. Largest selection of Clymer, Chilton, Haynes, Bentley and Seloc repair manuals at discount prices. 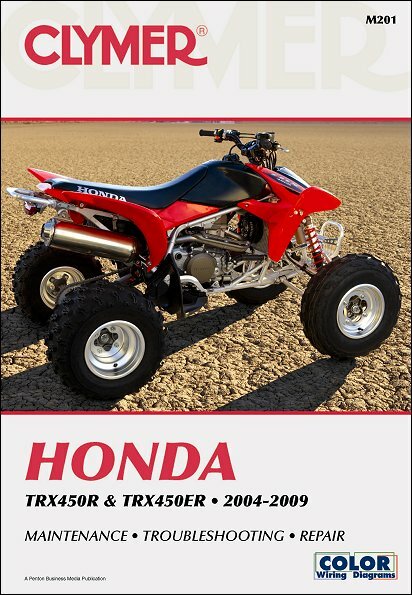 Honda TRX450R, TRX450ER ATV Repair Manual 2004-2009 is available for only $26.95 from TheMotorBookstore.com. Largest selection of Clymer, Chilton, Haynes, Bentley and Seloc repair manuals at discount prices. 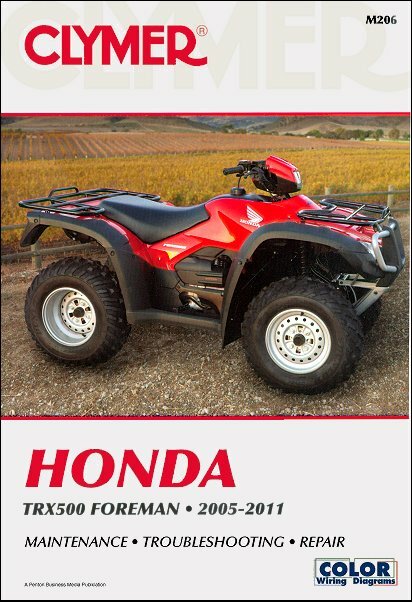 Honda TRX500 Foreman ATV Repair Manual 2005-2011 is available for only $26.95 from TheMotorBookstore.com. Largest selection of Clymer, Chilton, Haynes, Bentley and Seloc repair manuals at discount prices.